Revive & Thrive - NPO Showcase from GRTV on Vimeo. 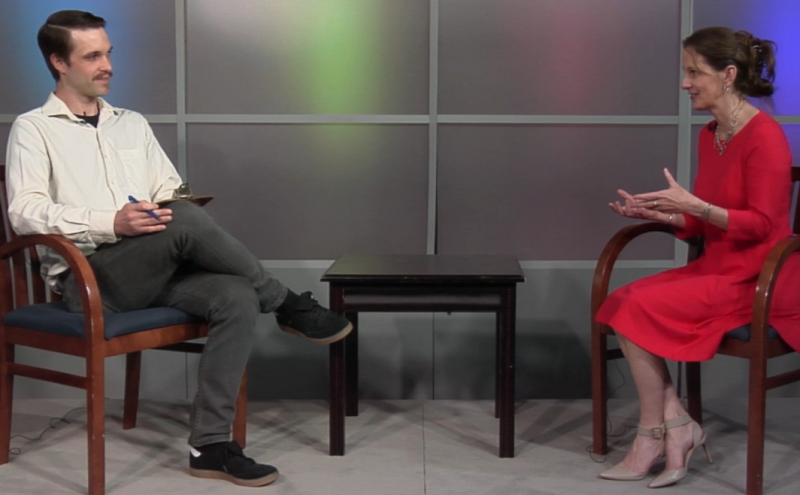 In this week’s segment of GRTV’s NPO Showcase, Wendy Borden from the Revive & Thrive Project shares how the organization is helping to improve the diets of West Michigan citizens. Revive & Thrive accomplishes this both through education, and access to high quality foods. Revive & Thrive provides education and hands on experience to teens through healthy meal preparation. By connecting with local youth, Revive & Thrive spreads the message of how important nutrition is and the skills to make a variety of meals using locally grown and organic ingredients. Once the food is prepared, Revive & Thrive delivers free high quality foods to community members facing debilitating disease such as cancer. Revive & Thrive also offers education to those recovering from illness so they can support themselves with nourishing meals moving forward. By partnering with local food producers Revive & Thrive is stimulating the local food economy through all stages of food production and distribution. Community members can get in touch with Revive & Thrive to learn more about their programs, donate, volunteer, or become a partner. Check back next Wednesday for a new segment of GRTV’s NPO Showcase, featuring Kent Conservation District.